The Elmer Fret Slotting Miter Box allows you to cut fret slots quickly and accurately with a handsaw, either with or without a slotting template. 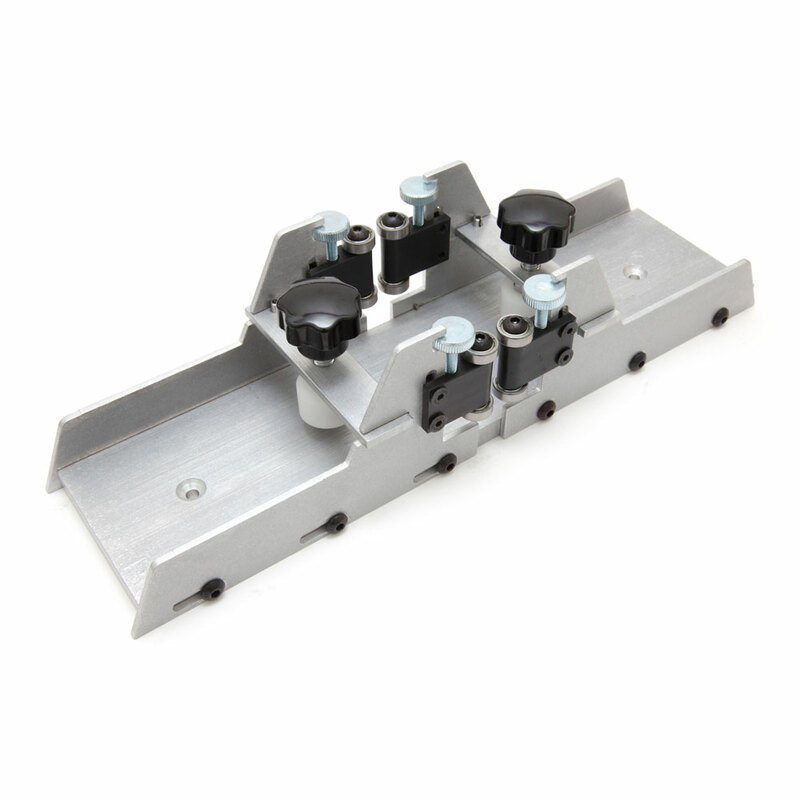 The ball bearing guides keeps fret slotting saws straight and upright and guides them smoothly across the work surface, the ball bearing guides are height adjustable so you can set the depth of the cut to match the depth of your fretwire tang. One side of the frame can be adjusted toward or away from the other half to accommodate different thickness fret saws. There is an indexing pin in one of the frame pieces that is compatible with the notches on StewMac fretting templates. The removable fretboard clamps hold the work in place while cutting the slots. The base has countersunk mounting holes for fixing the mitre box to a workbench. Assemble on a flat surface to ensure all 4 frame pieces are flush with the base.